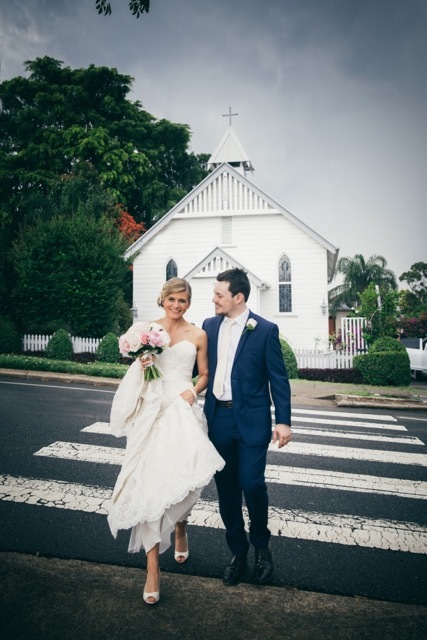 Georgina and Brett enjoyed a classic and timeless wedding at Latrobe Chapel in Paddington. 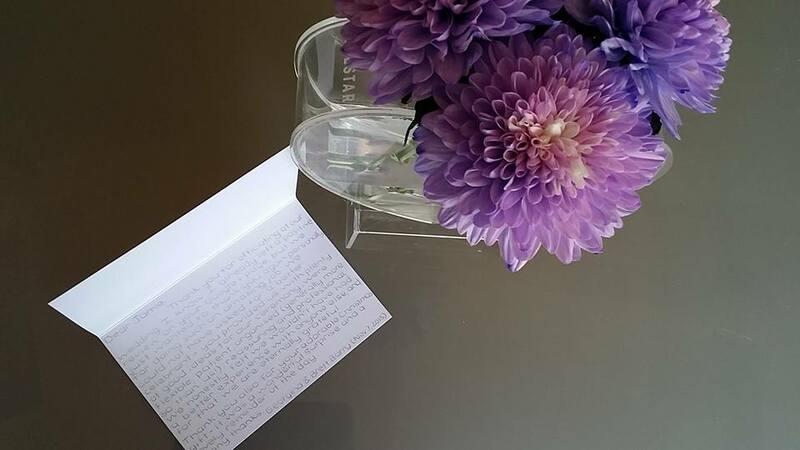 I was thrilled to receive the following 5 star review from the happy newlyweds. His lovely calm manner made everyone feel completely at ease and took all of the stress out of the day too! WOW! 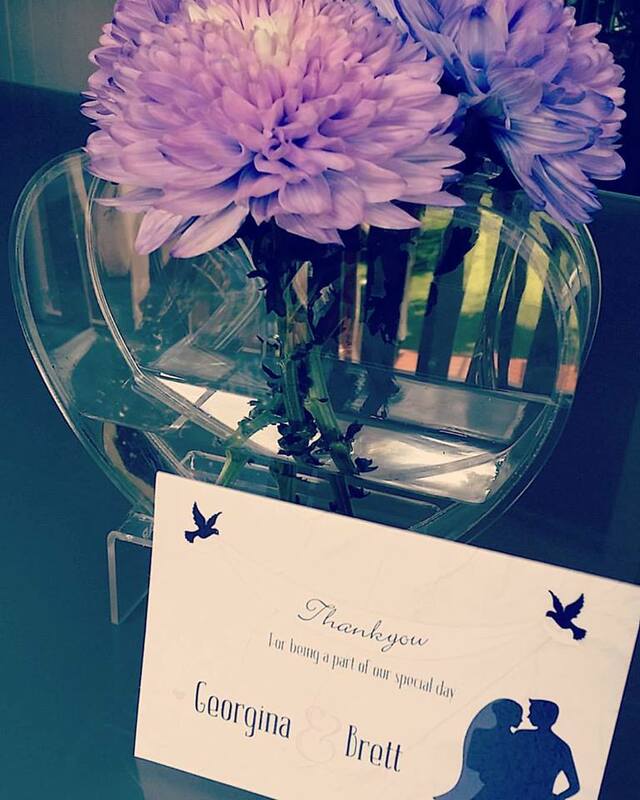 Georgina and Brett you have a beautiful way with words and I am so grateful for your kind feedback. Latrobe Chapel Wedding with Celebrant Jamie Eastgate. The sweet newlyweds didn’t stop there, they were kind enough to send me some photos from their day and a beautiful thank you card with the most amazing message that I am so humbled by! “Dear Jamie, Thank you for officiating at our wedding. We just wanted to thank you again personally for doing such an amazing job. We honestly felt we wouldn’t have had a better experience with anyone else and for that we are eternally grateful. 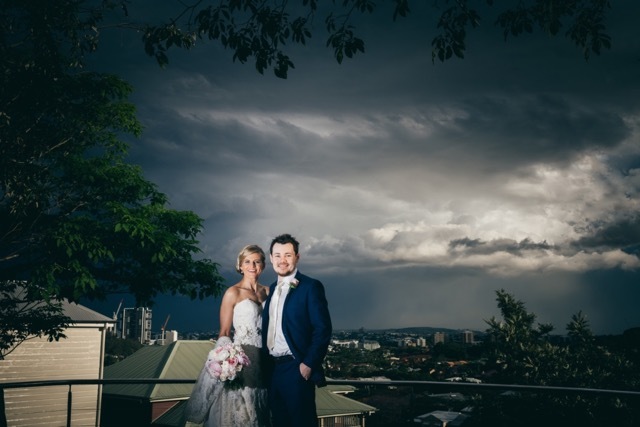 Jenny Cuerel Photography did a magnificent job capturing the love birds special day, and was clearly not phased by the stormy skies even capturing a double rainbow! A little research on the meaning of double rainbows suggests that it is believed that because the colors are inverted with a double rainbow, with red appearing on the inside and violet on the outside. The first arc represents the material world, and the second arc signifies the spiritual realm. A double rainbow is considered to be a sign of future success. 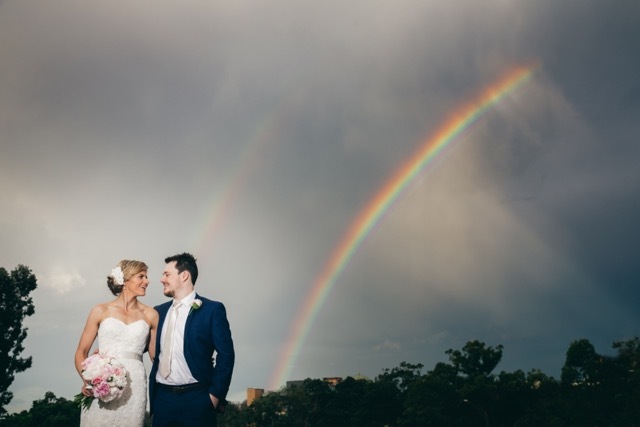 What an amazing omen to have a double rainbow greeting you on your wedding day wishing you every success for the future! 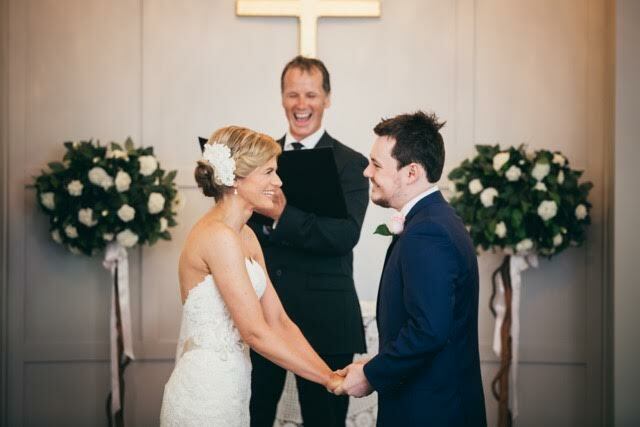 Thank you so much Georgina and Brett for choosing me to be you Celebrant for your Latrobe Chapel wedding.